Balls for a massage, stone eggs or rounded stone pellet, rolled briquette are the most simple and safe in the use objects which can be applied for Medical stone therapeutics. It is curious to mark that in olden times in China practice of massaging of body was engendered by medical crystals. In fact, in this case speech went about the acupuncture affecting crystals bioactive parts of body. Such therapeutic methods were saved in our days, either specialists are however engaged in them in area of acupuncture or professional Medical stone therapeutics. Balls for a massage render much more soft affecting surface of body of people, and in this area of therapy practically there are not specific contra-indications. 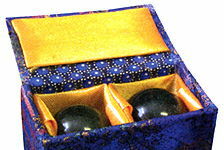 The balls of small size, as a rule, use for the massage of active points of hands. It is ordinary inexpensive balls. They are twisted in hands. The concrete receptions of such work are well known. 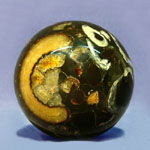 They are usually expounded in small instructions, which are added to the pair of balls, which you will find in any shop, specialized on the sale of healthful minerals. It is enough to say that simple rolling in the palm of pair of balls during 10-15 minutes in the day of already able to render a noticeable positive effect on the general state of health and spirit of people. More large balls apply the surfaces of body for a massage. 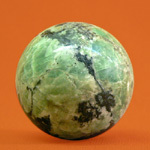 In some countries of South-East Asia along with such balls you can find original of "pellet", reminding the form classic pebble. It is usually recommended to warm up such stone before the use, holding for some the time them in warm water or in the opened sunshine (but not to overheat). 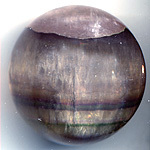 After completion of session of massage it is recommended to rinse both balls and "pebble" cool water. Such sets now are for a sale separately and cost very expensive, although from the mineralogical point of view such pebble of value does not have in general. In fashionable beauty salons it is named SPA-therapy or stone-therapy and costs very expensive that executed not valuable both from point of Medical stone therapeutics and from point of mineralogy by stone (often black or grey color). We do not recommend to acquire such sets or use this favour as method of Medical stone therapeutics in sew on to the country, if only this procedure is not executed by professionals-expatriate from the countries of South-east Asia in the specially designed salon. Therefore we urgently recommend to acquire stone for a massage independently from more valuable in all of senses minerals. It is possible to purchase for a massage or SPA-therapy suitable pebble (stone rounded without sharp edges on a form pebble) from a rose quartz, nephrite, lazurite, lapis lazuli and other pleasing you stone. 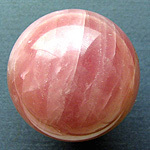 Balls are very good as harmonizings from a rose quartz, mountain crystal, nephrite and jade, obsidian, petrified tree, simbircite (river Volga, city Simbirsk (Ulyanovsk), calcite amber) and other warm rocks. 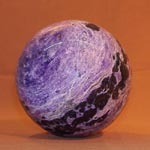 Accessible and relatively inexpensive are balls from fluorite and marble onyx. It is needed to know that balls often stand a bit dearer than "pebble" (pebble), but a question must a basic criterion serve for acquisition, that you like most. 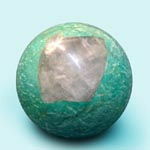 Large balls and eggs from more valuable and beautiful mineral rocks are excellent instruments for meditation. 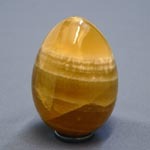 Balls and eggs for meditation can be on support from a stone or without it. 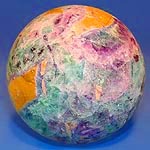 Balls befit from malachite, charoite, serafinite, eudialyte, mountain crystal, smoke-coloured quartz, fluorite, amazon-stone, jasper and other beautiful minerals. 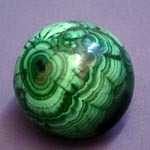 They can be simply contemplated, holding on a palm, or to meditate, holding in hands balls at the level of chakras. Balls will never harm. 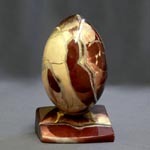 The simplest variant of massage is the tender rolling heated to the temperature of body of stone balls or eggs on a body clockwise above an area, in the district of which there is a suffering organ, where a man tests the sickly feelings. A masseur with experience easily will find application balls depending on the technique of the individual work. Contra-indications for any massage: pregnancy, all of diseases, is in the sharp stage, follow by a high temperature and sharp sharp pains, sharp infectious diseases, any tumours and new formations, cancer tumours, malignant diseases, psychical diseases, any urgent condition, shock of any origin, threatenings lives of the state etc.